“For all physicists know, dragons could have come flying out of the singularity,” said Niayesh Afshordi, an astrophysicist at the Perimeter Institute for Theoretical Physics in Waterloo, Canada. 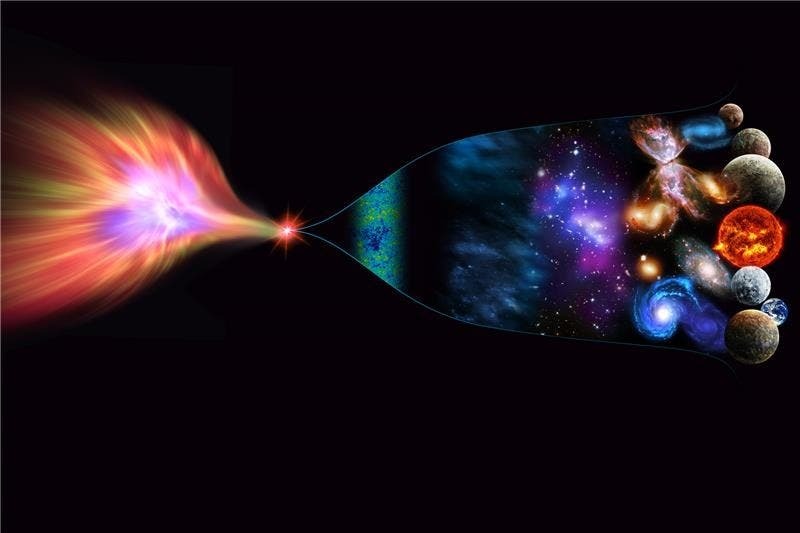 Big Bang was a mirage from collapsing higher-dimensional star, theorists propose. While the recent Planck results “prove that inflation is correct”, they leave open the question of how inflation happened. A new The study could help to show how inflation was triggered by the motion of the Universe through a higher-dimensional reality. In a paper posted on the arXiv preprint server1, Afshordi and his colleagues turned their attention to a proposal made in 2000 by a team including Gia Dvali, a physicist now at the Ludwig Maximilians University in Munich, Germany. In that model, our three-dimensional (3D) Universe is a membrane, or brane, that floats through a ‘bulk universe’ that has four spatial dimensions. The Black Hole at the Beginning of Time –"We may have Emerged from a Black Hole in a Higher-Dimensional Universe"